Beautiful Ends to your Beautiful Braids! 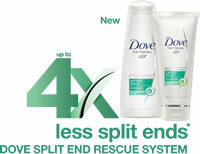 divalikes.com - This post is written as a part of the contest Dove Split End Rescue System organised by IndiBlogger. justoozingthoughts.blogspot.in - Story of my braid...school days to motherhood. sunkissedanjali.wordpress.com - From real braids to reel braids, in 24 years! Read the story of my hair, where strange ladies, to boys to mother to husband encouraged me to grow my hair! Split ends free! sushmitamalakar.com - My experience with Dove so far! me24x7.blogspot.in - Three 55 fiction pieces on how hair (or rather, braids), can lead to love, fulfillment and giving. Who doesn’t love lovely ends? postinked.wordpress.com - This is the story of my happy ends, how bad hair days finally turned into good hair days. that leaves your hair with 4X lesser split-ends, so you can make beautiful braids with beautiful ends once again. Tell us your story about the good old days, when you loved to make beautiful braids with your hair, and how your braids have beautiful ends once again.